Come join the fun in the high desert. Relax on the Golf Course or enjoy biking and swimming at Eagle Crest. Later enjoy the Paul Heidtke Memorial Barbecue and Pit Master Rich's Barbecue Friday night in the Pocket Park. 5:00 - 8 pm Paul Heidtke Memorial Welcome Barbecue - featuring Pitmatser Rich Keseker. 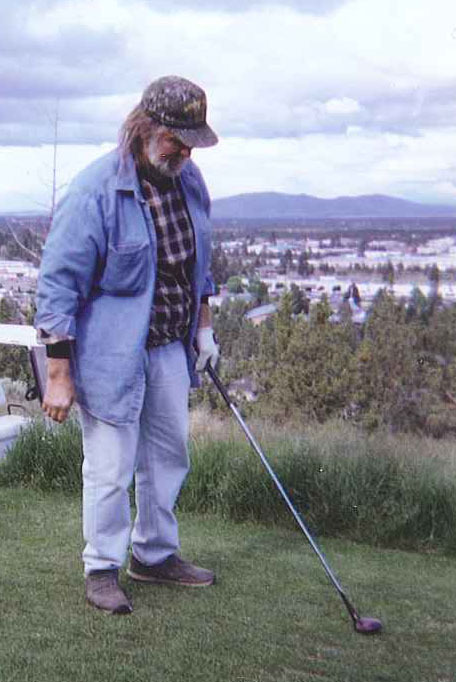 Honor our former member, Paul Heidtke by mingling with friends at Eagle Crest's Pocket Park. 1:00 – 2:00 OPCA Business Meeting: Reports, election of OPCA Board, legislative update. Brandi Ham Memorial Golf Tournament. This year's tournament will be at the Eagle Crest Resort. The event is named after Brandi Ham, a friend and colleague of OPCA. Brandi was a friend of many and member of the team, "No Threat." He loved golf. He was famous for saying, "just get up there and wack it!" Paul Heidtke Memorial Barbecue – 6:00 pm: Honor the life of long time member Paul Heidtke and enjoy the world famous barbecue by Pit Master Rich Kesesker. Attendees are encouraged to bring their family members! There’s no extra charge, just RSVP on the registration form. The Barbecue will be in the "Pocket Park" at Eagle Crest. Exhibitors and Sponsors - Thanks for your support! Eagle Crest Resort, hotel rooms, condos and houses. To book your room at Eagle Crest Resort, call 855-682-4786 and reference the “Pest Control” group. The block is available until April 26, 2019. After that time, unbooked rooms and condos by OPCA attendees can't be guaranteed, so don't delay! Call 855-682-4786 to request specific bedding options. LODGING TAX AND ASSESSMENTS: Lodging rates are subject to a 17.8% lodging tax/assessment at the time of check-in. CHECK-IN/CHECK-OUT TIME: Check-in for the hotel is 4:00pm; check-out is 11:00am. Check-in for the vacation rentals is 5:00pm; check-out is 11:00am. GUEST ROOM PAYMENT: Individuals will pay their own room, tax & incidental charges. CANCELLATION/NO SHOW POLICY: Lodge: A credit card is required to hold a reservation. Reservations must be cancelled at least 72 hours in advance. Otherwise, one night of lodging and tax will be charged to the credit card on file. A confirmed guest who fails to arrive on their scheduled arrival date will be considered a “no show”, charged one night of lodging with tax and their entire reservation will be cancelled. Eagle Crest cannot guarantee rooms for guests arriving after their scheduled arrival date. Vacation Rental: A credit card is required to hold a reservation. A deposit of one night of lodging with tax will be billed to the credit card at time of reservation. The deposit will be forfeited if the guest does not arrive or if a reservation is cancelled fewer than 7 days prior to arrival. A confirmed guest who fails to arrive on their scheduled arrival date will be considered a “no show”, charged one night of lodging with tax and their entire reservation will be cancelled. Eagle Crest cannot guarantee rooms for guests arriving after their scheduled arrival date.